Hey everyone! Hope the summer didn't zoom right by you like it did for me. So I've been wanting to create an animated series for an extremely long time and I finally sat down with my team (my girlfriend and a cousin from another mother) and came up with a few designs to start. First of the series is the ying and yang of the blue and green phantom. Thought that would be interesting and fun since many people believe they're the same fish just different coloration depending on the area. This was the first design to get finalized and printed samples are being delivered. I really wanted to go with something fun and unique. Why try to recreate the real thing when truly nothing is better than the real thing. Let me know what you guys think!? Love it, great idea. I would expand your idea to include more cool fish like Discus and Cory's, Angels etc... which would open the door for more sales for you. Love it . Where do I order one ? Cant wait to get this one printed on mugs!!! 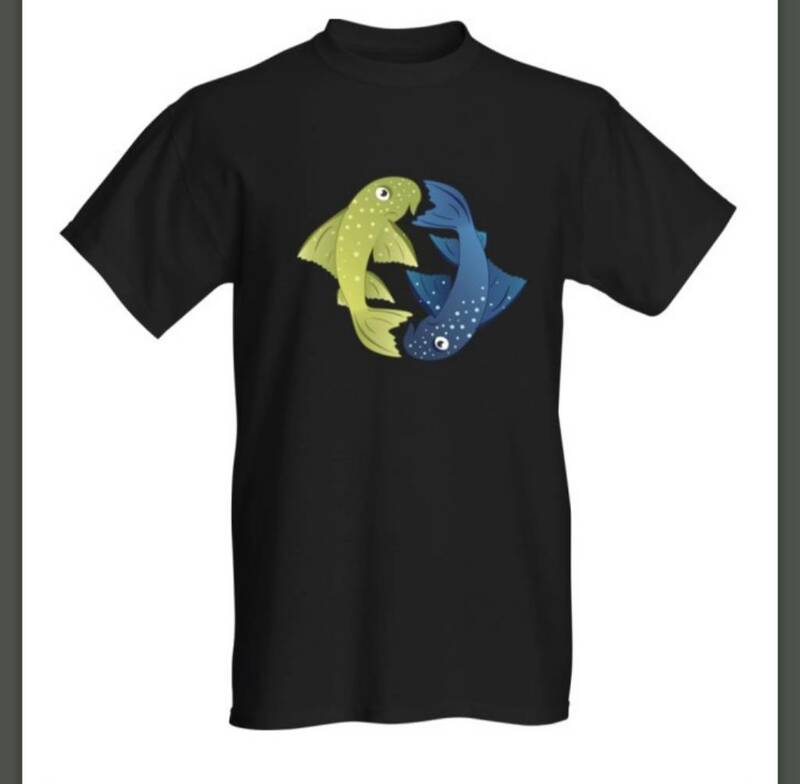 I may still have it, I will check when I get home, But simple idea of the front half of the fish coming toward you on the front of the shirt and on the back it was back half swimming away. Just a drawing like you have already. It had some copy on it but can't remember what it said. I could not find my old shirt. so I did a rough drawing for you. EEverything's ready to go and shipping is available Canada wide. Men's shirts are 100% cotton for comfort and breathability and made with high-density fabric. Women's shirts are 100% ringspun cotton. Soft and breathable with a more modern silhouette fit.